Healing is our Vision and Homoeopathy is our Mission. We at Elite Healers are continuously working on understanding the root cause of different diseases. Because we believe that removing the cause should be the aim of treatment and not mere relief of symptoms. As a reputed homeopath in Durga Vihar, Amravati, Dr. Rahul Kolamkar specialises in allergies, immunology, alternative medicine, dermatology, cosmetology, and psychology. Homeopathy just doesn’t relieve symptoms of an ailment, but also focuses on attacking the root cause. Also, homeopathy medicines don’t have side effects, which make it easy for patients of all types to benefit from homeopathic solutions. Which is why, many patients have consulted Dr. Rahul Kolamkar over the years and received good results. With an experience of 15 years, the knowledgeable homeopath offers anti-ageing treatment, chin reduction treatment, weight management, acne treatment, allergy treatment, asthma management, dengue treatment, solutions for gastrointestinal disorders, hair restoration techniques, and solutions for head and neck pain. The doctor completed his BHMS degree from Pandit Jawaharlal Nehru Memorial Institute of Homoeopathic Medical Sciences, Amravati in 2001. Then in 2015, he received certification in ADHD in children and adolescents from Harvard Medical School, along with certification in Clinical Assessment and Treatment of Depression in Primary Care. 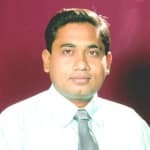 Dr. Rahul Kolamkar is a senior homeopath and researcher at Elite Healers in Amravati at present, and is a professional member of Maharashtra Council of Homeopathy as well. He can converse in both English and Hindi and charges a very reasonable fee of Rs. 500 at the clinic. The doctor constantly tries to discover better cures for various diseases and caters to the needs of his patients with care. Consult him today for your particular problem by visiting his clinic in Amravati or making an online appointment in less than a minute. It is normal to feel nervous before an interview or be anxious about certain things, but letting that fear take over your life is not normal. If your worries and stress interfere with day-to-day life, you may be suffering from an anxiety disorder. Fear not, this is treatable with homeopathy. Kali Phosphoricum: Kali Phosphoricum is potassium phosphate that helps calm people when overwhelmed by anxiety attacks. This is suitable for people who are easily stressed, over sensitive, insecure, irritable and despondent. It also helps deal with the after effects of grief and fright. Physical ailments such as fatigue, dullness and lack of energy that are a result of anxiety can also be treated with this biochemic salt. Aconite Napellus: Aconite Napellus is made from a purple flowering plant by the same name. It has a number of uses, primary among which is to control anxiety. This is one of the best homeopathic remedies for sudden, intense anxiety attacks and for post traumatic anxiety. It also helps deal with after effects of anxiety such as memory weakness, restlessness, oversensitivity and spells of rage. Argentum Nitricum: Argentum Nitricum is also known as nitrate of silver. This is helpful in cases where anxiety makes a person insecure and unsure of what to do. When you're anxious, you are likely to crave for something sweet and feel very hot. Both these are cyclic symptoms of anxiety, and can worsen the situation, if not dealt with. However, Argentum Nitricum helps calm the digestive effects of sugar and cool the body to keep anxiety levels in check. Arsenicum Album: Arsenicum Album is a constitutional remedy that can treat both chronic and acute problems. This works well on people who are worried about safety and security. If issues like health, money and break-ins are the cause of your anxiety, this homeopathic remedy is ideal for you. It also helps deal with restlessness. Calcarea Carbonica: This is a homeopathic remedy made from the middle layer of sea shells that has a number of applications. When it comes to anxiety, Calcarea Carbonica is well suited for people who are scared of change and over controlling. This anxiety is accompanied by excessive sweating due to any exertion and stubbornness. Such people are also often afraid of animals and of the dark and get easily confused. One of the biggest advantages of homeopathy over allopathic treatment is the absence of side effects when taken in low doses. However, even homeopathic medication can have side effects when taken in high doses. Therefore, it is a good idea to consult a doctor before self medicating. Pain is a feeling of distress that is caused by intense damaging stimuli. It is one of the most common reasons that compels the patient to consult a physician and take painkillers. In the long run, painkillers have adverse effects on our body. While most of the times, the cause of the pain is diagnosed, there are cases in which the cause remains undiagnosed. Homeopathy is a system of medicine that is based on symptoms and has no side effects and thus, it is most effective in the treatment of both muscle and joint pains. Here we give you a list of common homeopathic pain medications that are prescribed to give relief to patients and the circumstances under which they can be used. Bryonia- It is given when there is a hot swollen joint, pain from overuse of body part or injury. The slightest movement aggravates the pain and is relieved of the pressure on the affected part. Causticum - It is recommended for muscle spasm, stiff neck and pain. The character of the pain is sharp and tearing and is caused by cold dry weather. The patient is relieved by the warmth. Arnica Montana - Arnica is suggested when a patient has sore, bruised feeling all over the body. The patient is very sensitive to the pain and everything on which he rests seems very hard. Arnica is a top remedy in case of injury from falling, sprain and bruise. Rhus Toxicodendron- A first choice of remedy in case of rheumatism and back pain. The right side of the body is especially affected. The patient experiences stiffness and aching pain that aggravates during the rainy season, in the morning, on exposure to cold and also by rest. Pain is relieved by moving the affected parts and by warmth. Cuprum Metallicum- It is given in cases of muscle twitching or severe muscle spasm. The patient feels better when the painful area is massaged. Magnesia Phosphorica - This is the best medicine for all types of pain, especially when the pain is in the right side of the body. The pain is aggravated by cold and movement and is relieved by heat and rest in the general. This is suggested to relieved lower abdomen pain during menstruation. Pulsatilla- This is an excellent remedy for rheumatic pains that shifts from one joint to another. Homeopathic medicine is suggested after a thorough understanding of patient symptoms and the medication differs from patient to patient. So it is better to consult a homeopathic physician to select a suitable medicine to get relieved from pain. Allergies, or allergic reactions, are common occurrences, which are caused by unnatural reactions between your body's immune system and foreign substances, which have gained access into the body. When these substances, known as allergens, enter your body, your immune system produces antibodies, which are responsible for warding off unwanted substances like harmful viruses or diseases and helping in the body's overall resistance. However, when antibodies identify a particular allergen as harmful, when it really isn't, a reaction occurs which may lead to inflammation or infection of the skin, sinuses, the digestive tract and the respiratory tract, among others. Allergies usually differ from individual to individual and can vary from mild skin irritations to fatal life-threatening emergencies. I have problem in my throat as like throat irritation and the problem arises in the morning specially so please suggest me what to do? Take warm water gargles and avoid eating heaving diet in night so that you do not have irritation in morning. Parents today, are more concerned about their child's healthy diet and hygiene compared to earlier days. They are more inclined towards quality when it comes to providing medical assistance to their children. They are also now well aware of the side effects of conventional drugs and are keen towards trying alternative treatments, which come with no side effects. Studies prove that conventional drugs suppress diseases and antibiotics hamper digestion. But homeopathy on the other hand, offers natural remedies, which are safe, and has long-lasting effect by boosting your body's immunity. Acute conditions such as cold, flu, sore throat and stomach infections, etc. These conditions are self-limiting. Homeopathic remedies not only cure these acute problems, but also prevent their recurrence. Chronic diseases like eczema and allergies are cured completely and never reoccur when treated with homeopathy. In both the above cases, homeopathy works miraculously. Alongside the healing process, it boosts the child's self-defense mechanisms to fight against diseases. While antibiotics may be too harsh for the child's body, homeopathy is a safer option, since it does not have any side effects. Homeopathy is also effective in treating colic, earache and reduces pain and discomforts. Some of the common problems of children where homeopathy works well are fever, teething, vomiting, diarrhea, dysentery, kidney diseases, infant colic, jaundice, eczema, convulsions, ear infection, fungal infections, warts, thyroid problems, and other growth related problems. It is normal to feel nervous before an interview or be anxious about something, but letting that fear take over you is not normal. If your worries and stress interfere with your day-to-day life, you may be suffering from an anxiety disorder. Fear not, this is treatable with homeopathy. Here are a few homeopathic remedies to help calm an anxious person. Kali Phosphoricum: Kali Phosphoricum is a potassium phosphate that helps calm people when overwhelmed by anxiety attacks. This is suitable for people who are easily stressed, over sensitive, insecure, irritable and despondent. It also helps deal with the after effects of grief and fright. Physical ailments such as fatigue, dullness and lack of energy that are a result of anxiety can also be treated with this bio-chemic salt. Argentum Nitricum: Argentum Nitricum is also known as nitrate of silver. This is helpful in cases where anxiety makes a person insecure and unsure of what to do. When you're anxious, you are likely to crave for something sweet and feel very hot. Both these are cyclic symptoms of anxiety, and can worsen the situation if not dealt with. However, Argentum Nitricum helps calm the digestive effects of sugar and cool the body to keep anxiety levels in check. Calcarea Carbonica: This homeopathic ingredient is made from the middle layer of sea shells. When it comes to anxiety, Calcarea Carbonica is well suited for people who are scared of change and over controlling. This anxiety is accompanied by excessive sweating due to any exertion and stubbornness. Such people are also often afraid of animals and of the dark and get easily confused. One of the biggest advantages of homeopathy over allopathic treatment is the absence of side effects when taken in low doses. However, even homeopathic medication can have side effects when taken in high doses. Therefore, it is a good idea to consult a doctor before self medicating with homeopathy. I am 67 years old with no other health problem. My two daughters and grand son are Abroad. My wife is always creating Problems. I have been managing all things. But, I have developed a sort Of a sense of crying. What should I do? Sorry to hear about your problem. Its ok if you cry for awhile as it lowers the stress and relax mind. I would suggest you to join some laughter club or some group who keep on doing some self help activities. This will keep your mind fresh and relax. Also try to involve your wife so that even she will be relaxed. Thanks. Single medicine for irritable bowel syndrome - constipation and symptoms thereof. Its a psychosomatic disorder and can be solved with medicine through homeopathy but its then you need to give a detailed case and help us to prescribe a constitutional dose. Patience and faith are the key to get out this syndrome. Thanks. I'm 18/19 guy suffering from kidney stone and need some quick and easy tips to remove it. Take lot of water at regular interval. Avoid retaining urine for long period. Avoid calcium rich food like milk and its products, spinach, tomatoes etc. Keep a regular schedule of walk for atleast 30 mins. All these will surely help you. Thanks.